FNSS Savunma Sistemleri A.Ş. is a joint venture company established by NUROL Holding of Turkey and BAE Systems Land & Armaments L.P. of USA. FNSS is a leading manufacturer and supplier of tracked and wheeled armored combat vehicles and weapon systems for the Turkish Armed Forces and Allied Armed Forces. FNSS originally developed the Pars or Leopard family of armoured fighting vehicles in a co-operative program with The General Purpose Vehicles (GPV) company, based in New Haven, Michigan, USA, for the Turkish military. 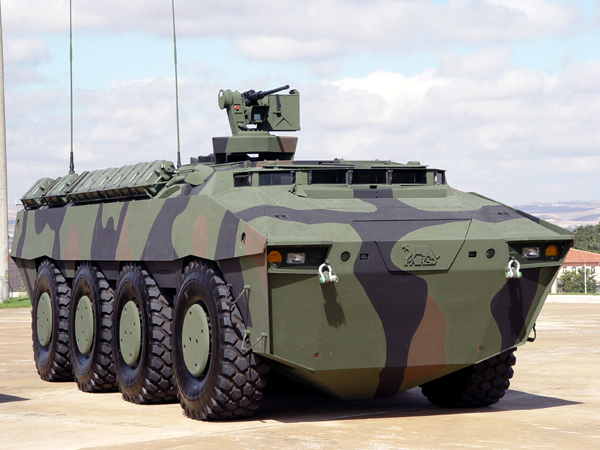 In 2010, the Turkish Army ordered more than 1000 Pars vehicles in different variants, and the Navy ordered more than 50 amphibious vehicles. In early 2011, FNSS signed the largest defence system export contract achieved so far in the Turkish Defense Industry in one go in Malaysia. The agreement signed with FNSS’s local partner DEFTECH covers the design and development of 257 each 8×8 wheeled armoured vehicles in 12 different variants for Malaysian Armed Forces. The vehicles will be based on FNSS’s PARS 8×8 wheeled armoured vehicle and will be co-produced with Malaysian partners in Malaysia. – Test and Control CAN-BUS infrastructure with built-in test/diag.